How Iconic: A Word Is Worth Thousands Of Pictures : All Tech Considered Inspired by the origins of the Oxford English Dictionary, the Noun Project uses crowdsourcing to gather an army of people to define words. But instead of using other words to do it, they use icons. Picture a dictionary that doesn't need words to get the point across. It started after Edward Boatman read the book The Professor and the Madman by Simon Winchester. The book is about Professor James Murray, the man who compiled the first Oxford English Dictionary. But Murray didn't do it alone. He had an army of people ready to help define every word in the English language. So Boatman thought he'd do something similar: use crowdsourcing to gather an army of people to define words, but instead of using other words to do it, they'd use icons. 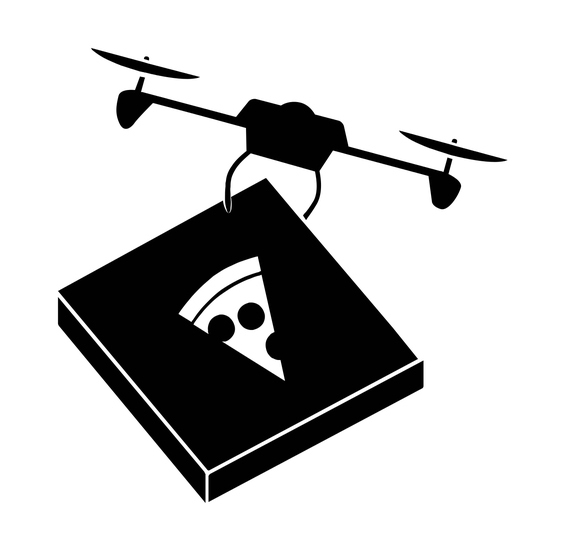 This icon of a drone delivering pizza is part of a topic called "There's a drone for that." Thus the Noun Project was born. "The thinking behind this is that visuals are kind of the one language that everyone can understand regardless of race or ethnicity or cultural heritage," Boatman said. "So I thought building this visual dictionary would be a universal resource for people around the world to use." The Noun Project is an online database of nearly every noun you can imagine, as well as some verbs. Need a pictogram of a house? You've got hundreds to choose from, ranging from what really does look like a house to townhouses to apartments. Need an image of a drone delivering pizza or feeding a baby? It's the click of a mouse away. The project isn't just Boatman's vision for sharing a visual language, it's also a business. Designers from around the world contribute — people who might design icons for other sites or who want to earn a little extra money with the Noun Project. The icons are free to users if they credit the designer. If they would rather not, they can pay $1.99 per icon or take out a $9.99 monthly subscription. Designers receive a cut of these fees and subscriptions. The database is targeted toward people who are looking to create something and who need an icon to do it, Boatman says. These icons can be used in several ways, such as emoji, on Power Points or through applications such as Adobe Voice, which allows users to make animated videos, and Squarespace, which helps users build websites. The Noun Project's interface streams the icons straight to these applications. Teespring, a company that allows users to design their own T-shirts, also uses the API. Through its site, you can search for any icon you would find on the Noun Project, so you'll be able to add that image of a drone cooking your breakfast to your custom tee. You can even change the icon's size and color. Some words have thousands of visual representations. "Man" has over 3,000. Sneeze, for example, has only two and parka has just one. Some designers have their own collections where they design around a specific topic. Jeff Siepman, a digital art director, has two collections: Porsche and Land Rover. For Porsche, he has specific models, like the Porsche Targa. So far, he's only spent about 4 hours designing icons for the site, but his goal is to create collections for each of the major car manufacturers. Designers can also encourage others to create icons around a specific topic, Boatman said. 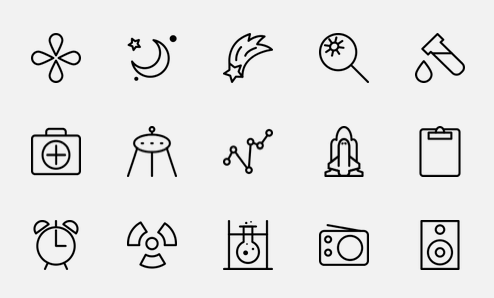 In this case, the creators start a brief, such as "There's a drone for that," and outline the theme of the brief and what the icons should look like. The creators spell out the requirements, such as the icons have to tell a story or can't include faces. Designers could then add their own icons to the brief. One brief includes color, something that sets it apart from most of the icons on the site. The brief is sponsored by the social media app Kik and is titled "Emoji for Everyone." Designers looking to add to the brief have to illustrate 20 emotions, which are being expressed by humans, cats, robots and even watermelon.